Dr. Eddie Watson is the Director of the Center for Teaching and Learning (CTL) at the University of Georgia (UGA) and serves as the ALG Campus Champion for his institution. Dr. Watson launched UGA’s OER initiative in 2013. His goal was to find a way to have a big impact with limited resources, so his approach has been to follow a simple formula: target high enrollment courses that are using expensive textbooks. It would follow that helping even a small number of faculty fitting that profile could have a big impact on student savings, and that has been the path Dr. Watson and team have followed. Introduction to Biology for non-majors was the first course transitioned, and since then, UGA’s CTL has helped faculty teaching a number of high enrollment courses adopt open, free textbooks, including US History, Introduction to Psychology, Anatomy and Physiology, Introduction to Sociology, Intro to Biology for majors, and others. As of fall 2016, the CTL estimates that 23,608 UGA students have collectively saved approximately $2.4 million through faculty adoption of free textbooks since its first project in 2013. A list of courses and year-by-year savings can be found at http://www.ctl.uga.edu/oer. Much of this work has been supported through grants from the University System of Georgia. 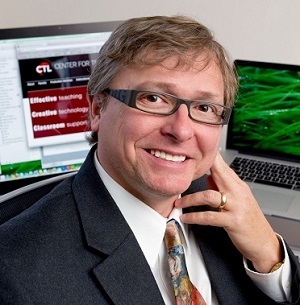 UGA’s CTL was awarded a 2013 Complete College Georgia Incubator grant and a 2014 Complete College Georgia Innovation grant, both of which focused on OER adoption and course redesign. Since then, UGA’s CTL has also been awarded two Affordable Learning Georgia Textbook Transformation Grants. The CTL is currently in the second year of a partnership with OpenStax at Rice University that resulted in a Next Generation Courseware grant from the Bill and Melinda Gates Foundation. This grant has enabled the CTL to foster the adoption of OER in additional large enrollment courses as well as explore OpenStax’s adaptive learning tools, which are built upon their OER. The core purpose of this grant is to study the collective impact of OER and these adaptive learning tools on student learning outcomes.